In this stylized, rhyming board book, animal pairs march to a surprise destination...Noah's Ark! The book was created to allow maximum accessibility for both differently-abled and typical readers. Featuring the work of award-winning illustrator Marc Lumer, CAN YOU HEAR A COO, COO? uses earth tones and subtle textures to boost sensory acceptance. The animal exclamations on each page invite repetition and syllabic learning through rhyme and rhythm--which studies show speak directly to the brain's natural learning style. And they are fun to say! This book is a PJ Library selection. I love rhythm and rhyme! And the animals sound so fun. Congratulations to you and wish you success! The children at synagogue as well as the children who received this book all loved it. It’s a fave! 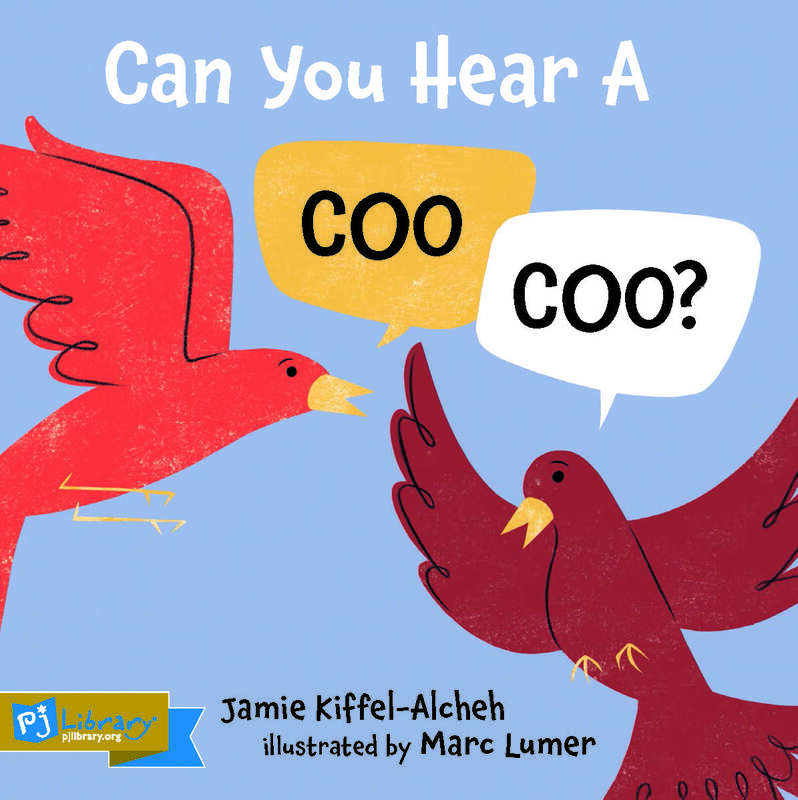 Jamie Kiffel-Alcheh is the author of CAN YOU HEAR A COO-COO? (a PJ Library selection), and the upcoming titles A HOOPOE SAYS "OOP! ", LISTEN! IT'S ISRAEL (recipient of PJ Library's Author Award), THE BIGGEST OF ALL, and CONSTRUCTION KITTEN. Jamie’s specialty is writing for children of all abilities. Many of her books contain rhymes, repetition, and funny noises, which might seem silly, because they are! But they are also the very sounds that pediatric speech therapists and special needs educators have discovered are easiest for the brain to process. And they are fun to say! Jamie is wild about animals and the natural world, and writes cover stories about them for National Geographic KIDS. Thanks to Nat Geo, Jamie is aware of tardigrades, and suspicious of their planetary origin. As a lyricist, Jamie writes for ad campaigns and films. She lives in Los Angeles with her husband, composer Daniel Alcheh, her daughter, Abi Eden, and her sleek and magnificent cat, Peeka. To read Kirkus' review, please click here! To read what PJ Library has to say, please click here! 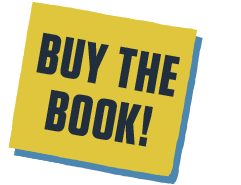 To read the Jewish Book Council's review, please click here! To read an interview with me and author Barbara Bietz, please click here! To read a personal essay about me and why I care so much about accessing readers of all abilities, please click here! 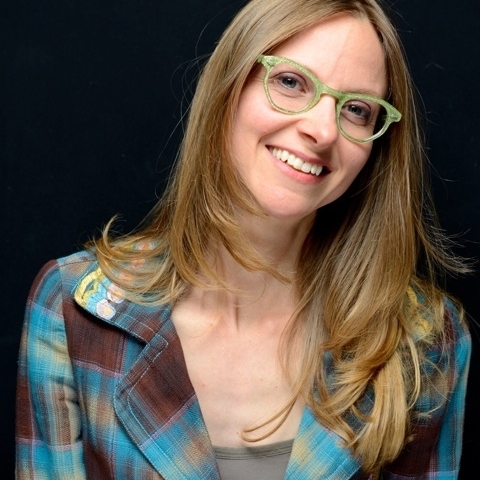 To see a list of recommended Jewish books--including mine!--see Yael Shahar's list here! To see my Publishers Weekly announcement (hi, Mom!) please click here!